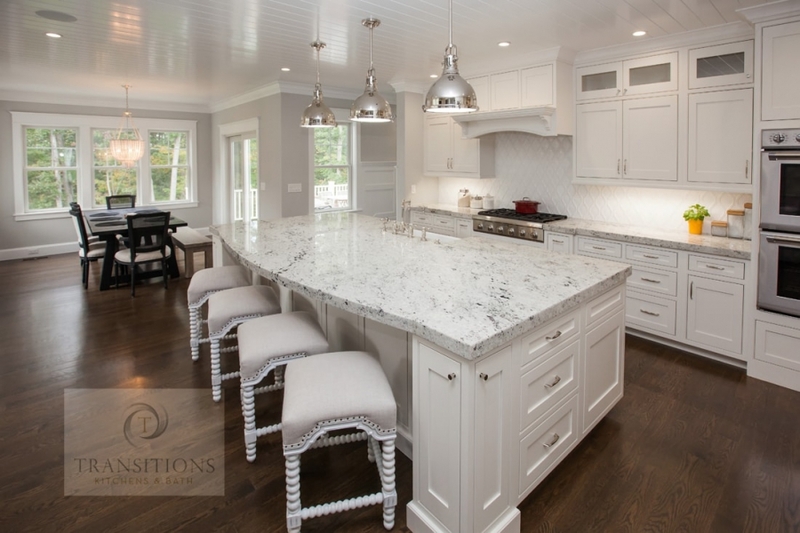 This contemporary kitchen design makes maximum use of the space to create an open kitchen/dining/entertainment area. 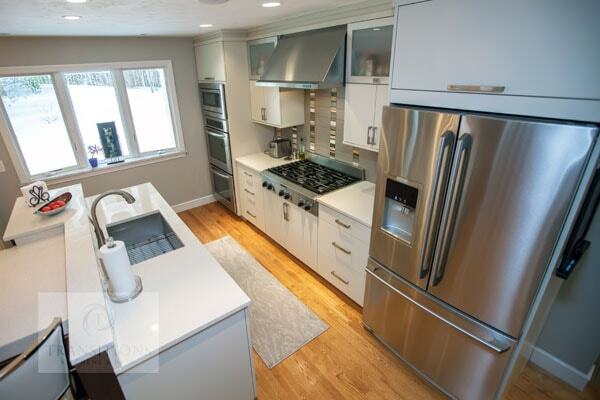 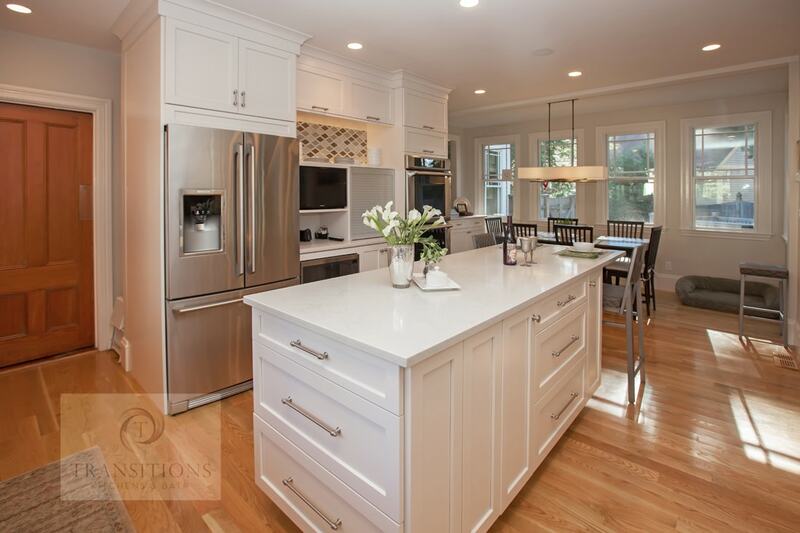 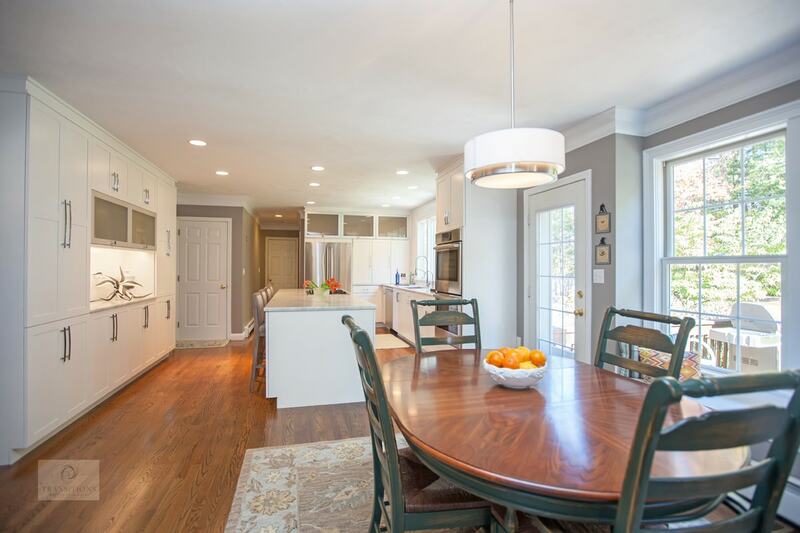 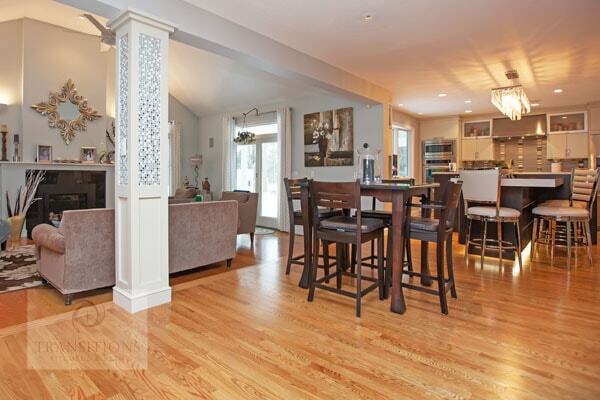 This is the perfect place to prepare meals, dine with family, or entertain guests at a party. 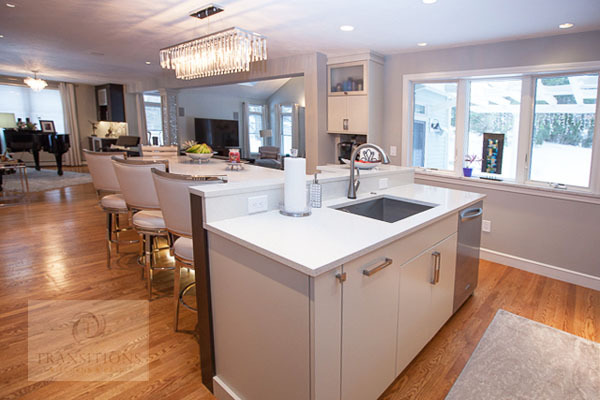 At the center of the kitchen is a large, T-shaped, multi-level island that creates space for food preparation with a sink and also for dining with ample seating. 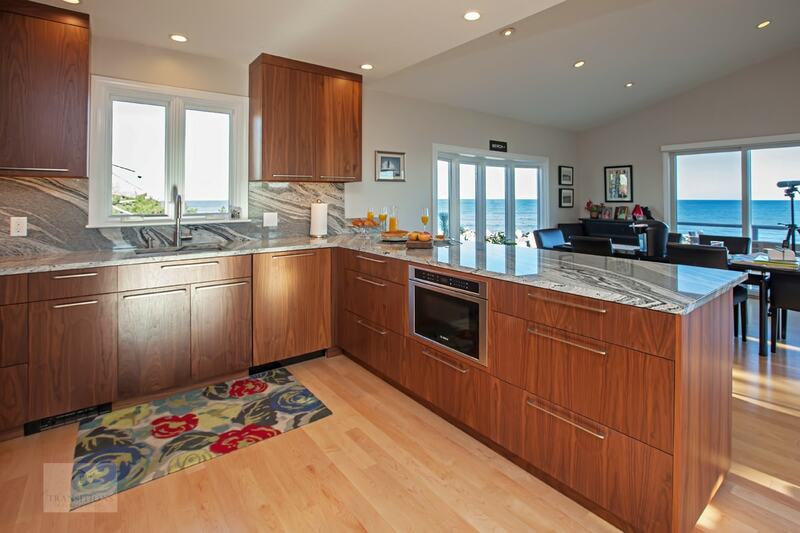 The island cabinetry has an espresso finish that beautifully offsets the pumice finish on the main cabinetry with glass front upper cabinets. 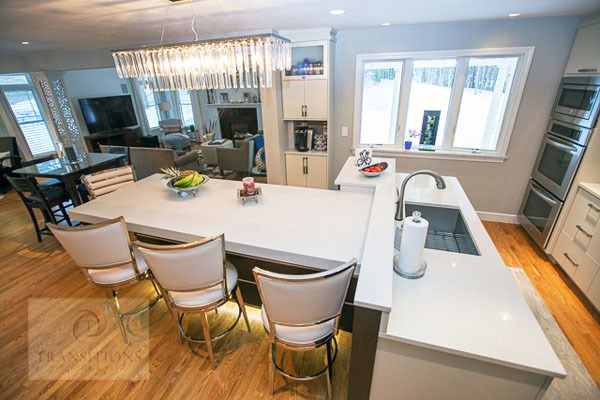 The design is finished off with stainless appliances and hood, glass and metal backsplash, and a striking lighting design.